This is an image from the film "A trip to Wiesbaden" (USSR, 1989). 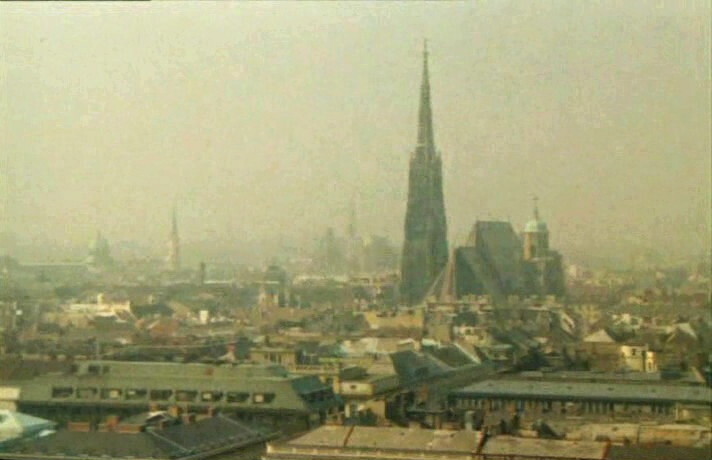 In the film, this skyline is supposed to be the skyline of Wiesbaden (a city in Germany). Well, this is definitley not Wiesbaden (I've been residing there). Information which may be useful: the film was shot in cooperation with Czechoslovakia, so this might be a town on the territory of the modern Czech Republic or Slovakia. I am pretty sure that this is in Vienna and that the church is St. Stephen's Cathedral. I can't find a picture of the church from that angle, but you can find one from a slightly different angle here. You can recognize both the high, spiky tower and the smaller dome on the other side with the patina roof. 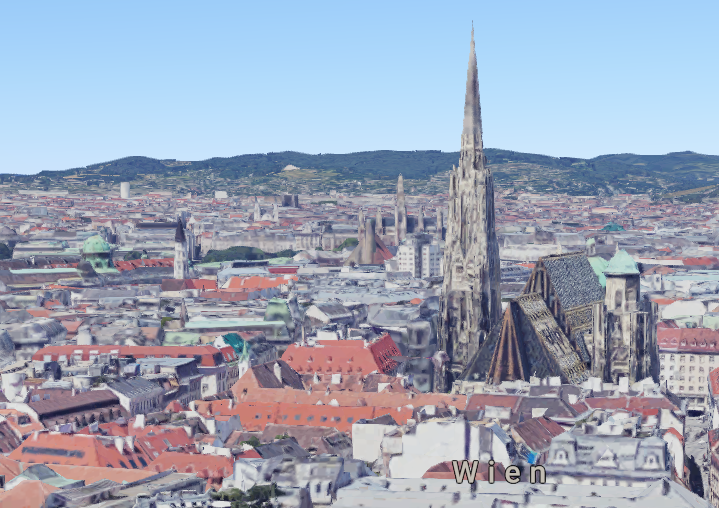 Supplementary answer: Instead of looking for Youtube videos, another way to double check the perspective is to use the 3D-capability of Google Maps!